Each time we worship together, donations of non-perishable food items and personal hygiene products are accepted. The items are brought to the altar before service or during the offering time. After worship they are delivered to the Open Hands Food Pantry for distribution to anyone in need of them. Our Father’s Closet collects new and gently used clothing for men, women, and children. The clothing is delivered to Veterans Hospital, Eastern State Hospital, Hope Center, and to the homeless. Children’s clothing goes to the Nest and other area children’s help centers. Your donations may be placed in the designated room marked “Our Father’s Closet” just off the church vestibule. Please be sure that your donations are clean, folded, and in good condition. Our Father’s Closet also accepts personal care items such as soap, shampoo, deodorant, razors, new toothbrushes, toothpaste, etc. LUMC sponsors and hosts community meals at the Open Hands Food Pantry four times per year. The meals are from 6:00 p.m. to 7:00 p.m. and are free to all. Ministry servants are always needed for set up, serving, and clean up. There is always a need for side dishes, desserts, and monetary donations. To be part of the next meal contact Libbye Freeman at (502) 839-0713. Each Sunday morning in May and November, LUMC conducts worship service for those who live at the Heritage Hall Nursing Home. The seniors who live there so much appreciate bringing church to them. The LUMC team leads the singing of hymns and prayer, then presents a Message of the Good News of Jesus Christ. Opportunities to serve are many, but just your presence is a blessing to the residents. They need and love assistance getting to and from their rooms to the service, and they love to talk and interact with fellow Christians. For more information about this ministry contact Gerald Lister at (859) 734-9606. The Anderson County Senior Citizens Center offers home meal delivery to seniors of our community who have a difficult time with meal preparations. LUMC provides several two person teams to deliver lunch on the first Monday of each month. Consider being on one of these delivery teams. 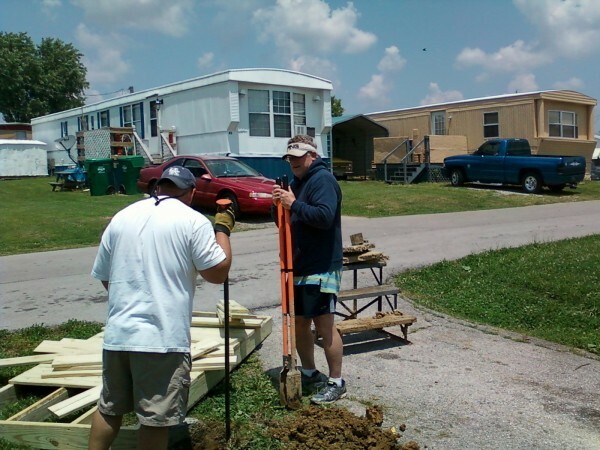 For more information about this ministry contact Jane Bryant at (502)839-5253. 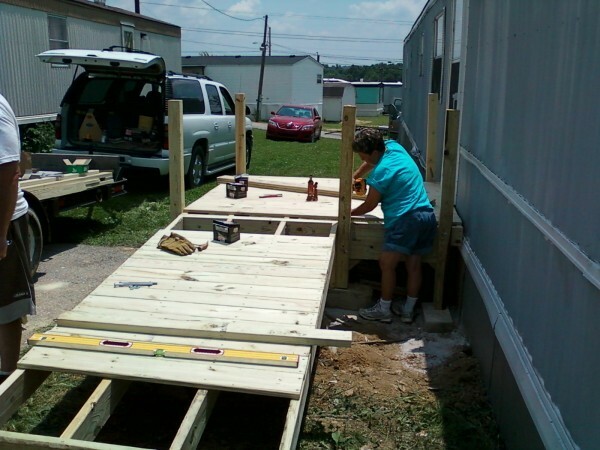 This ministry provides house entrance accessibility by use of wheelchair ramps or long tread low-riser steps constructed within the scope of our capabilities and resources. 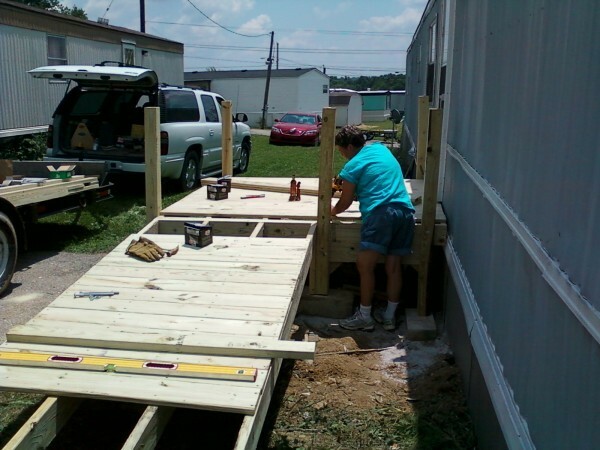 Individuals with mobility impairments will have greater freedom of movement entering and exiting their home. The systems are designed in a way that anyone who is willing can be part of the construction and installation. For more information contact Elizabeth Coleman at (502) 839-5080 or David Dennis at (502) 839-5110. The clinic opened in November 2012 and charges no fees for services received. Current operating hours are Tuesday evenings, 6 p.m. to 9 p.m. Patients of the clinic are Anderson County residents, 18 years of age or older, with a diagnosed chronic illness and no insurance. The clinic is funded by donations and grants. It is overseen by a board of directors. Kenneth Hines, M.D., is the Medical Director and only doctor. All clinic workers are volunteers. In addition to medical services, the clinic staff works with patients to find medications that are both effective and inexpensive. The clinic needs nurses and office staff. For more information contact Carol Stewart at (502) 839-9495. 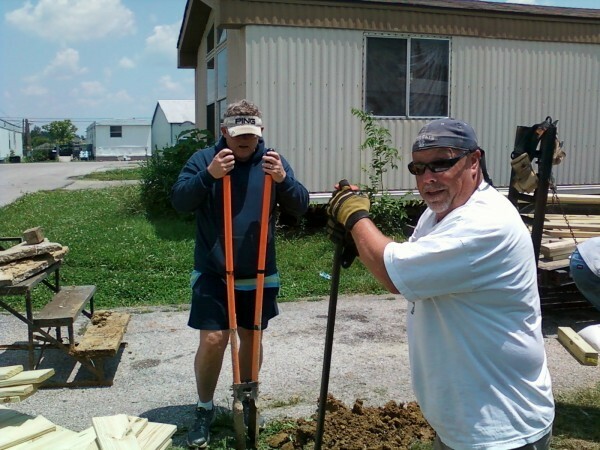 Each year a team from LUMC goes to Henderson Settlement, in Eastern Kentucky, to be in ministry with the residents of the region. 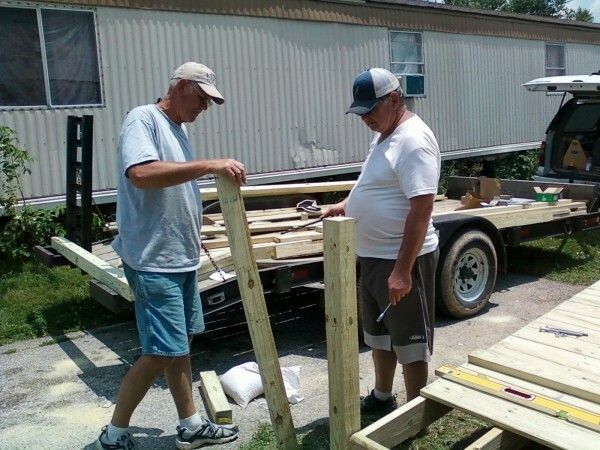 The team takes on jobs such as building decks and storage sheds, flooring, roofing and siding. The trips allow the team to serve the people of the community and grow in our relationship with God and each other. The team works together, eats together, and gets to know each other in an environment of serving God by serving others. The trips are rewarding and fun! For information on our next trip contact David Dennis at (502) 839-5110.